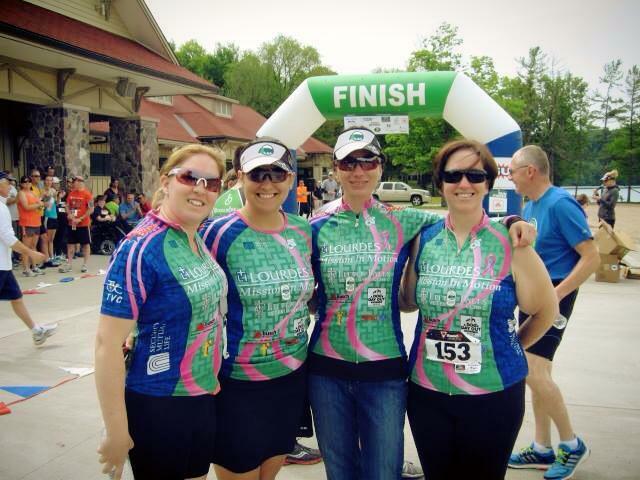 It was a perfect sunny, warm day in upstate New York for the Green Lakes Duathlon! This was my third year participating and even though I had been down and out for 3 weeks, I couldn't pass up the fun doing this event with my friends! Ashley, Tiffany, Marsha, Angela with their finisher medals!